Use the button below to make a one-time donation or to create a monthly donation of the same amount. The amount is up to you. Know that we appreciate any size donation as it all goes to help us maintain the Retreat Center and offer high quality retreats. PayPal will say it’s a donation to Young People Who Care, but rest assured we are all one and your donation will go where it is most needed. 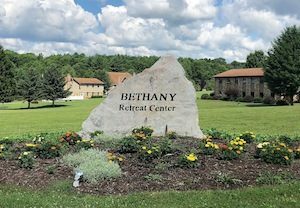 Bethany Retreat Center is a ministry of YPWC.